Enjoy a responsive engine along with sharp handling and sporty styling in your quality used coupe from Twin City Used Car Sales. 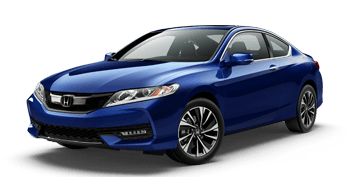 Shop at Twin City Used Car Sales to secure a sleek and smooth-riding sedan from a number of popular automakers. 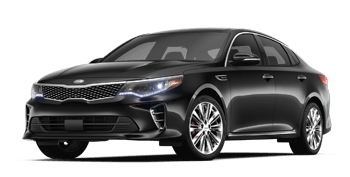 Explore our pre-owned sedan selection today! With a roomy cabin, generous cargo capacity and available AWD or 4WD system, an SUV is just what local drivers and families need to enhance their lifestyle! Tow and haul with confidence a pickup truck from our dealership. We stock trucks of all sizes for both work and play! Twin City Used Car Sales invites Chattanooga, TN and Gadsden, AL area drivers to our full-service used car dealership for quality used car sales and financing at competitive rates. Among our extensive used car inventory, you will find a diverse variety of cars, SUVs and pickup trucks from many automakers, allowing you to shop across makes and models to find the vehicle right for you. Whether you shop Twin City Used Car Sales online or on-site at our used car lot in Fort Payne, AL, you can expect to get a great deal on a quality used car! Twin City Used Car Sales is also home to a dedicated finance team that is here to serve you with used car financing options. Our finance department staff understands the importance of a dependable set of wheels; that is why we work with used car buyers of all credit levels. Just like shopping for a late-model pre-owned vehicle at our dealership, applying for financing can begin here on our website, too. We know that your time and money are valuable so our finance staff will do everything possible to deliver a hassle-free used car loan process with favorable financing rates! Where Your Friends & Neighbors Are Buying! 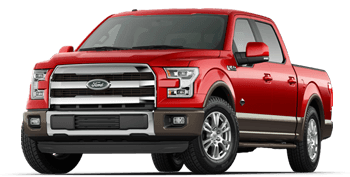 As you start your used car search online here on our website, you will discover that the majority of used SUVs, pickups and cars for sale are late-model, providing you with the modern technology, safety and convenience features you want, but at a greatly reduced price compared to buying a brand-new car. Whether you have your heart set on a used Chevrolet or GMC truck, or perhaps a pre-owned Ford SUV or Toyota sedan, you can surely find it among our extensive used vehicle inventory. We stock pre-owned luxury vehicles as well, from popular makes such as Lexus, BMW and Mercedes-Benz. In short, you can find just about any make, model or body style of used vehicle you are searching for here at Twin City Used Car Sales! At Twin City Used Car Sales, our trained sales staff is here to assist you from your initial used car search all the way until you are ready to sign and drive home in your quality pre-owned ride. Shopping our used car selection is a smart way to go for used car buyers who are unsure of what to drive or are still narrowing down options. 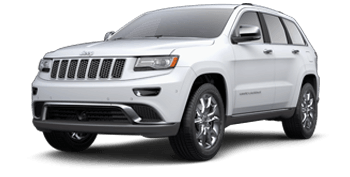 Since we stock such a vast array of vehicles across the auto industry spectrum, our sales associates will gladly assist you in locating an SUV, pickup truck or car that is just your speed, style and price. Just let our used car sales specialists know your requirements, such as the body style, features, seating capacity and price point you are after, and our team will go to work for you! Here on our website, you can even submit your used car criteria to our sales department and our team will try to locate your ideal next ride! If you have spotted a car or two that you would like to test drive at our dealership, go ahead and request a test drive to ensure your vehicle of choice is still available when you visit. The finance department at Twin City Used Car Sales is staffed by auto finance specialists who have years of experience assisting used car shoppers of all credit scores with their car loan needs. Getting the auto loan you need to drive home in a dependable and affordably priced used car is possible and hassle-free when you work with our team! We not only have experience working with drivers who possess less than ideal credit scores, but we encourage these used car buyers to apply for financing through our finance department. We believe in second-chance financing and are here to assist every customer with their used car loan needs, regardless of their financial situation or credit history. Here at Twin City Used Car Sales, we aim to make your entire used car buying and financing process convenient and stress-free. To that end, we provide our secure auto loan application right here on our website, so that you can apply for used car financing from the comfort of your Scottsboro, AL or Chattanooga, TN area residence. Your credit details are securely sent to our finance department, and there is no obligation to buy when you apply. So take a few minutes to fill out our used car finance application; that way, you can get pre-approved for an auto loan as you continue to shop our used car inventory or schedule that test drive! The team here at Twin City Used Car Sales is proud to be a part of the Fort Payne, AL community. While providing local drivers with affordable options and hassle-free financing is what we do best, we are also honored to serve our community in other ways. From supporting local grassroots efforts to sponsoring and working with Relay for Life, Boom Days and local school organizations, Twin City Used Car Sales wants to do our small part to continue to make Fort Payne, AL and surrounding communities great places to live, work and play. As a forward-thinking used car dealer, Twin City Used Car Sales aims to provide as many of our services online as possible to allow you to conduct your used car search at any time of day, from anywhere you may be. Here on our website, you can find out what your trade is worth, compare used cars for sale, request assistance from our sales team, apply for financing and much more. Our dedicated used car sales and finance staff look forward to seeing you here on-site at our Fort Payne, AL used car lot soon!